Well, like they say, everything is bigger (and better) in Texas! That statement rings true even when it comes to skate parks. Having lived in Texas, Spencer Schneider knows it’s rare that the weather prevents skaters from testing out their tricks outdoors — unless, of course, it happens to be way too hot. Personally, he prefers to skate on the street and in public areas. But, he’s always on the hunt for cool new skateparks to try out. 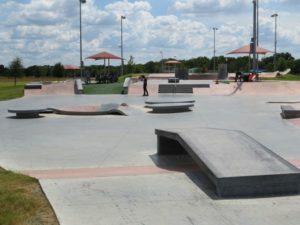 Here are some of the coolest skateparks Spencer Schneider has come across in Texas. Both of these parks are located in the same town, so you could make the visit a weekend adventure! There really is something for everyone at Northeast Metropolitan Park. Whether you’re looking to round up all of your athlete friends for a full-day adventure or just looking for a new place to test out your tricks, this park has exactly what you need — and more! As a fitness trainer now based in New Bedford, Spencer Schneider misses the awesome skateparks in Texas and is eager to make a trip back to enjoy the many different fitness opportunities skateboarding has to offer. He is also excited to explore the skateparks and local parks in New Bedford and nearby areas across Massachusetts. If you are in the local area, be sure to check out some of Spencer Schneider’s latest fitness programs available now: http://prsearchengine.com/spencer-schneider-training-announces-new-fitness-programs-for-athletes/.